Viper FTP – Fast, easy, and intuitive file manager that allows access your remote servers to manage and simultaneously transfer your files. Your professional data needs to be easy to access and easy to share – and with Viper FTP both have never been easier! 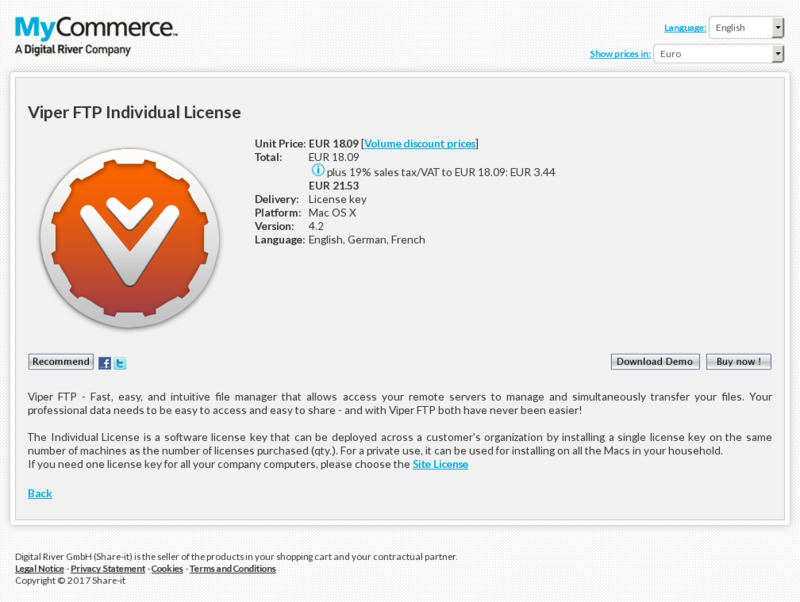 The Individual License is a software license key that can be deployed across a customer’s organization by installing a single license key on the same number of machines as the number of licenses purchased (qty.). For a private use, it can be used for installing on all the Macs in your household.